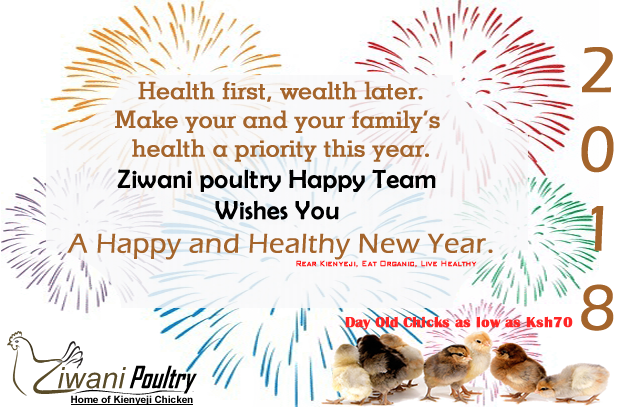 At Ziwani Poultry we believe its time to hit the refresh button as the new year opens its arms with another 360 blank pages to write the most beautiful story of our live. We also believe that health comes before wealth. Centring our business on Ingenious, Kienyeji and Organic chicken.Our prices have always been friendly, free training at the farm, our line is also open for advice on; chicken housing, vaccines, feeds, chicken equipment …. etc. We have now reduced the price of day old chicks to Ksh80 ($0.8). If buying over 500 Day old chicks the price is now Ksh75, for 1000 chicks and above price is now Ksh70. I would like to know if you can supply Perkin duck chicks to Tanga in Tanzania. I would like to order 100 chicks, and would like to know costs and the closest place I can collect them. I planning to start the project in Tanga, Tanzania. I understand that a good number of chicken chicks are supplied weekly from Kenya, but not sure if your farm does the same. Than you for your enquiry. Yes we can ship them to you, a Day old duckling cost Ksh250 each. We can arrange for transport, but you will have to meet them in, say, Arusha to feed and water them before they continue with the journey. Alternatively you can pay for them to fly to Dar where you can collect them from. How long does it take to process an order? For example if I make an order today how long will it take? What type of vaccines do you give to your chicks? It will take a week to get your chicks, if they are day old. for other ages; week old – 2 months old then it will depend if we have them in stock. if we do not have them in stock then you will wait for a week for them to hatch then we’ll rear them for you, therefore, if you want a week old it will take 2 weeks; 1 week to hatch date and another week to rear them. I hope am clear, if not please call us on 0708 923991. Yes we can supply them but you need to collect them from the Isibania boarder. It’ll cost you around ksh3000 from Nairobi to Isibania, and a duckling will cost ksh200 each.